Recently we worked on area and perimeter in math, and as usual we tried to incorporate a few fun activities to allow for practice at different levels. Here are some of the activities that were hits with our student. 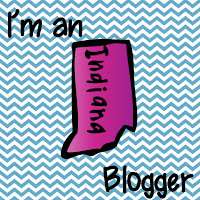 Be sure to scroll down to check out our pictures, too! 1. Edible area and perimeter - use Cheez-Its crackers and have students create rectangles and squares to practice finding area and perimeter. 2. Area and perimeter of spelling list words - use THIS RESOURCE (thanks for the freebie, Confessions of a Teaching Junkie!) and write in a few spelling words, vocabulary words, or class names. Serious fun! 3. Wax paper tracings - if you have square tiles in your building, send students to that room (bathroom for us) with waxed paper and have them trace around the tiles to find area and perimeter. 4. Dice is nice - roll dice to find the dimensions and find the area/perimeter of the shape. This works well with grid or graph paper put down into a plastic sleeve and a recording sheet. 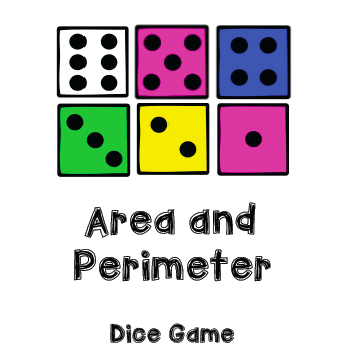 Follow this link to grab your FREE Area/Perimeter Dice Game! 5. Robots - Give kids construction paper and guidelines (or not) to create a robot. You may want to give them a big piece of construction paper on which to glue their robot, and specify that they need a head, neck, body, 2 arms and 2 legs. Have them use an inch ruler (round to nearest inch) to find the area and perimeter of each part. 6. Desktop area and perimeter - kids LOVE writing other desks! Give them square pattern blocks or squares of construction paper and let them create different squares and rectangles. This one is especially helpful for that pesky standard that has them give combined areas and all of the side measurements aren’t given. 7. Anchor chart on your window - Take a chalk marker or construction paper letters and write “AREA” across the glass part of a classroom window; make word cards that say “PERIMETER” and put these up around the perimeter of the window. This helped immensely - when we were working with either one, I’d say, “AREA, look at the window; inside or outside? Add or multiply?” Or, we’d chant, “PERIMETER, look at the window; inside or outside? Add or multiply?” Seriously, it really helped! Have fun with area and perimeter, and be sure to leave us a comment to tell us about any activities you use and love! Writing on the desks is the BEST! Total engagement, I promise! Use pattern blocks to practice adding areas; next find perimeter of each and combined shape. Cheez-Its are GREAT for area and perimeter! Challenge kids to create a robot; measure area and perimeter of each part. Trace tiles and practice identifying area and perimeter. Look at the link for our FREEBIE to have some fun with area and perimeter! 8. use TOILET PAPER squares! Tear several sheets in a row and give to students. They can combine with others to build a bigger shape. It's so fun, and we guarantee they won't forget it!